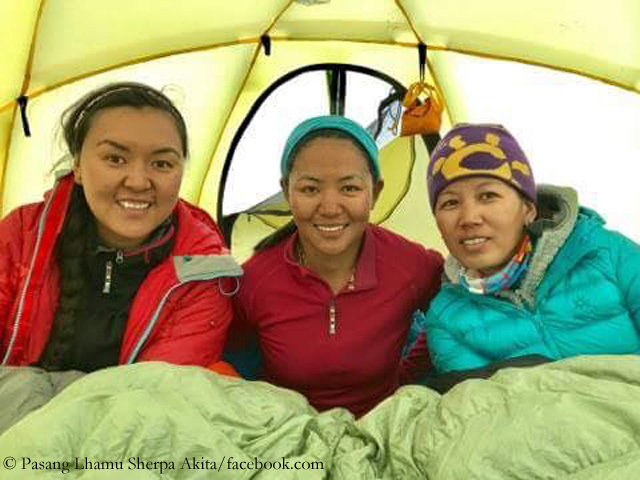 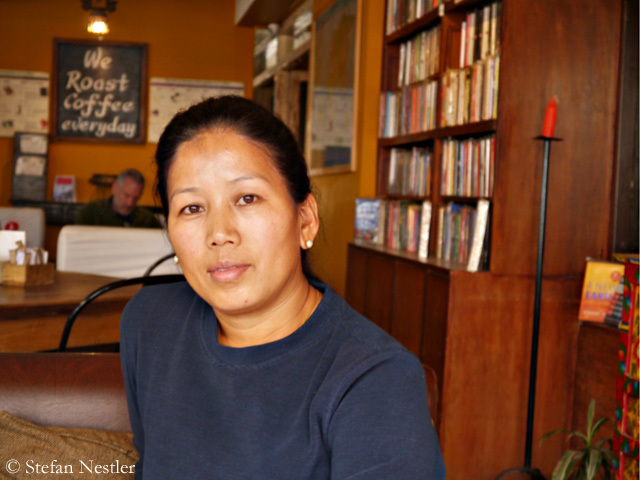 Maya Sherpa has stood her ground as a woman in the men’s world of mountain climbing. She is a professional climber since 2003. 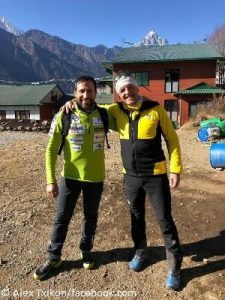 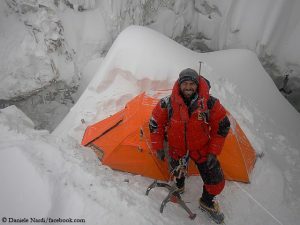 With her husband, the expedition operator Arnold Coster, she leads expeditions and works as a mountain guide. 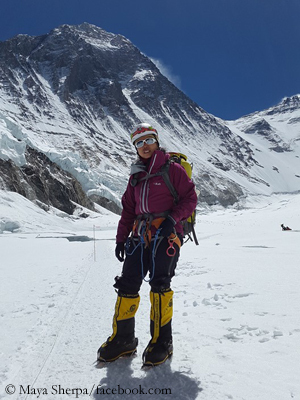 The mother of a seven-year-old daughter has scaled Mount Everest from both sides, to date a total of three times. 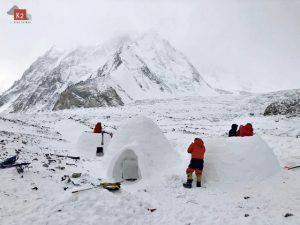 She was also the first female Nepali woman on Cho Oyu (8,188 m) in Tibet, Pumori (7,161 m), Baruntse (7,129 m) and Ama Dablam (6,814 m) in Nepal and on Khan Tengri (7,010 meters) in Kyrgyzstan.